In December 2014 Russia established the Arctic Military District, its fifth. It consists of underwater and surface forces, naval aviation and air defense forces of the Northern Fleet. 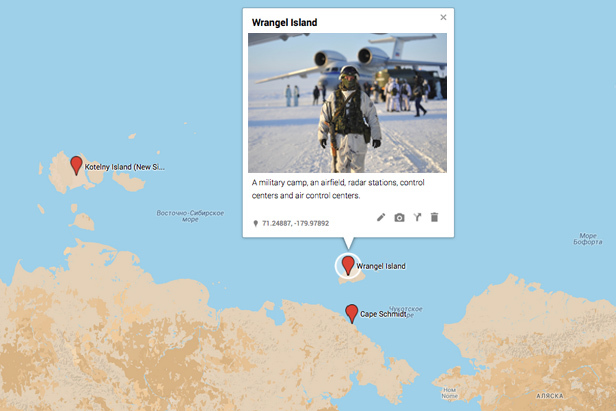 How has the Russian military presence developed in the Arctic over the last year? The Russian military has returned to the Arctic restoring Soviet airfields and bases that were abandoned in the 1990s. Some infrastructure in the form of unique closed cycle military settlements, which allows the military to move between administrative buildings and support structures without going outside, was built in the Arctic from scratch in just one year. To date the new command's groupings of troops have been already formed in Russia’s island territories in the Arctic, including Novaya Zemlya, the New Siberian Islands, Wrangel Island and Cape Schmidt. Overall, there are plans to build 13 airfields, one air force base, 10 radar stations and numerous air control centers.